WASHINGTON, DC-The National Committee for Quality Assurance (NCQA) today announced that Robeson Pediatrics of Robeson Country has received Recognition from the Patient-Centered Medical Home 2011 (PCMH 2011) program for using evidence-based, patient-centered processes that focus on highly coordinated care and long-term participative relationships. The patient-centered medical home is a model of care emphasizing care coordination and communication to transform primary care into "what patients want it to be." Research shows that medical homes can lead to higher quality and lower costs, and improve patients' and providers' reported experiences of care. The PCMH identifies practices that promote partnerships between individual patients and their personal clinicians, instead of treating patient care as the sum of several episodic office visits. Each patient's care is tended to by clinician-led care teams, who provide for all the patient's health care needs and coordinate treatments across the health care system. Medical home clinicians demonstrate the benchmarks of patient-centered care, including open scheduling, expanded hours and appropriate use of proven health information systems. 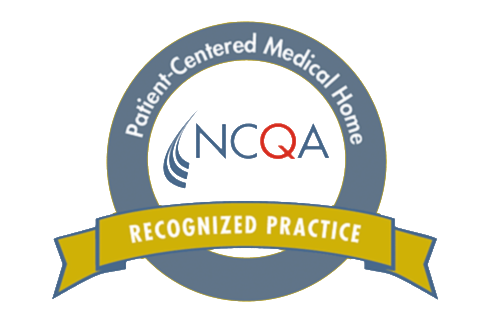 "The patient-centered medical home raises the bar in defining high-quality care by emphasizing access, health information technology and partnerships between clinicians and patients," said NCQA President Margaret E. O'Kane. PCMH Recognition shows that Robeson Pediatrics has the tools, systems, and resources to provide their patients with the right care at the right time." To receive recognition, which is valid for three years, Robeson Pediatrics demonstrated the ability to meet the program's key elements embodying characteristics of the medical home. The standards are aligned with the joint principles of the Patient-Centered Medical Home established with the American College of Physicians, the American Academy of Family Physicians, the American Academy of Pediatrics and the American Osteopathic Association.